Matching in style and presentation the 2004 Deluxe Edition of the Hobbit, the Deluxe Children of Hurin released in April 2007, the Deluxe Silmarillion released in September 2007, the Deluxe Tales of the Perilous Realm and the Deluxe Legend of Sigurd and Gudrun. Includes the appendices and a revised and updated index. 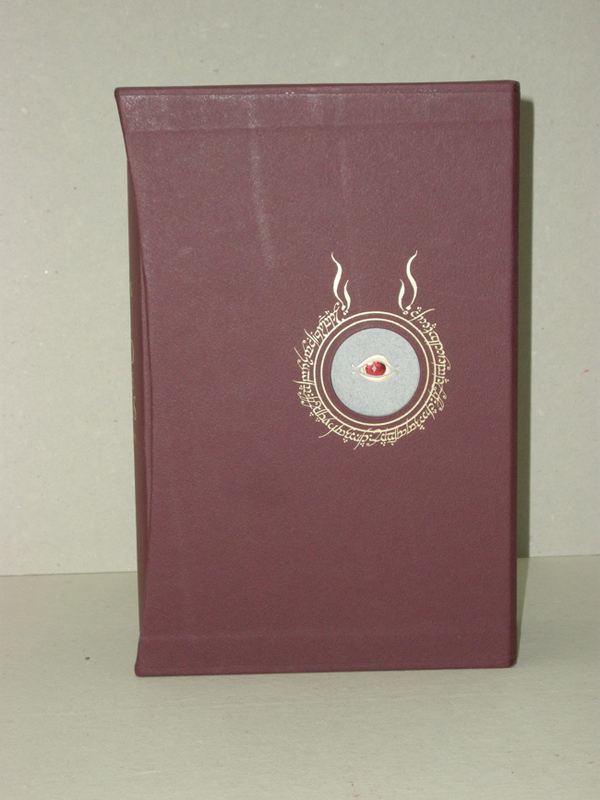 Quarter-bound in red, stamped in red and gold foil on grey boards, and housed in a matching slipcase. This edition was available for a limited time only. Still sealed in the factory plastic wrap, the photos were taken of an opened copy. 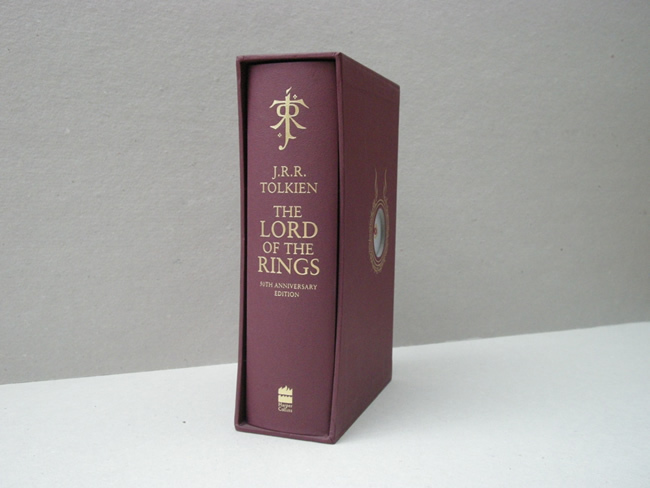 This 50th Anniversary Edition is a beautiful addition for any collection. Matching in style and presentation the 2004 Deluxe Edition of the Hobbit, the Deluxe Children of Hurin released in April 2007 and the Deluxe Silmarillion released in September 2007. Soon to be complemented by the release of a matching Deluxe Tales of the Perilous Realm (October 2008 release).